- A scent as bold as the signature stripes that decorate the sides of the bottle and the box. 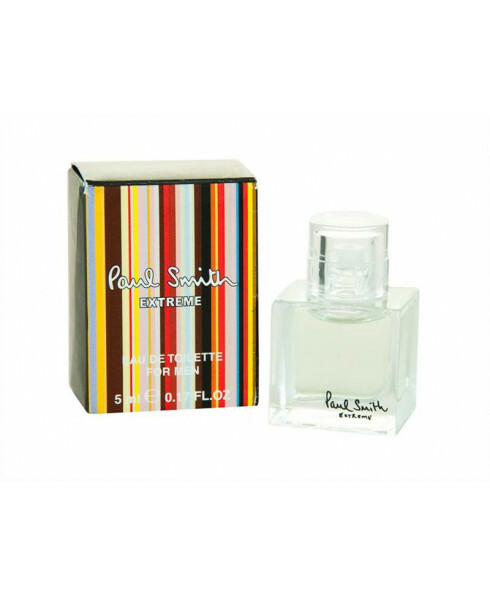 - Paul Smith Extreme for men is a woody, spicy fragrance that combines the fresh citrus notes of bergamot with rosemary and the spices of nutmeg and cardamon. - The heart of the fragrance is deep and intense with sweet notes of tonka bean and modern musk gives the fragrance a sensual touch. - his fragrance is in keeping with the Paul Smith style 'classic with a twist. - Top Notes: Bergamot, Lemon. Heart Notes: Rosemary, Nutmeg, Geranium. Base Notes: Tonka Bean, Rosewood.